C&S Electric Limited (the Company) has been receiving complaints about its spurious products being sold in markets. The Company with the help of local police conducted search raid in a shop of Ahmedabad market. 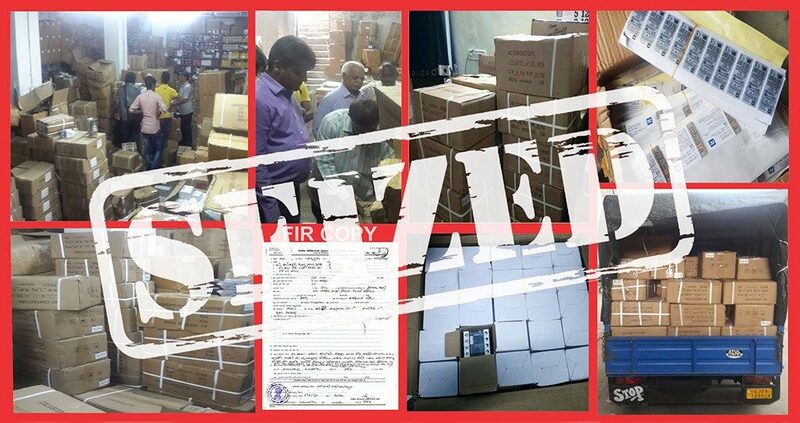 During the raid, “C&S” counterfeit and spurious products were seized in huge quantities which were being unlawfully manufactured and sold under the identical brands “C&S” and “Robusta” which also infringed the registered designs of the Company’s products. The infringing products were seized by the Police and an FIR was registered against owner of the shop who was also arrested. The Company is committed to provide best quality products to its customers and shall continue to carry out such raids in future as well to ensure genuine “C&S” products are available in market.